The MCM spin clamp pad and screw assembly. 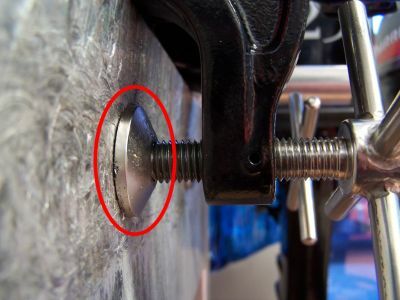 This new improved pad and screw assembly allows the pressure to be placed on the actual transom clamp thread, and not on the pad retaining screw thread, giving longer life and better durability. Always use loctite retaining compound to secure.